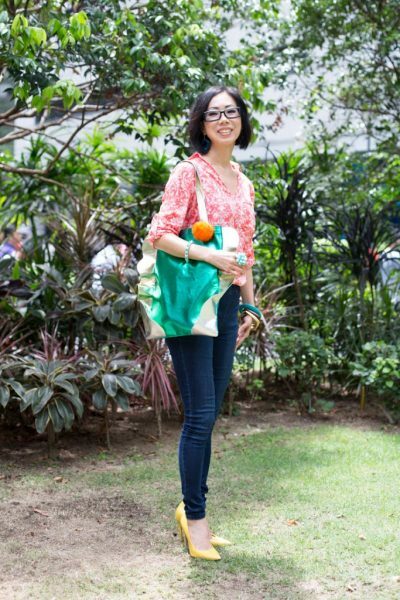 Clad in a casual ensemble, Shermaine, our YESAH x SHENTONISTA winner brightens up her outfit with our giveaway! 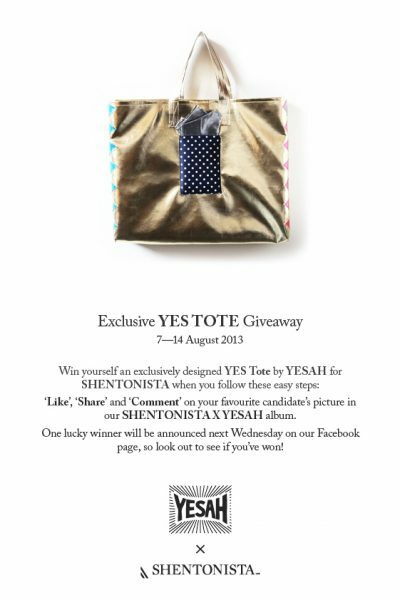 An Exclusive SHENTONISTA X YESAH YES Tote Giveaway Contest! Hop on over to our Facebook page to find out how you can walk away with one of these exclusively designed tote. Colours are the order of the day with this pair of floral capris, quilted blue flats and the YES tote. 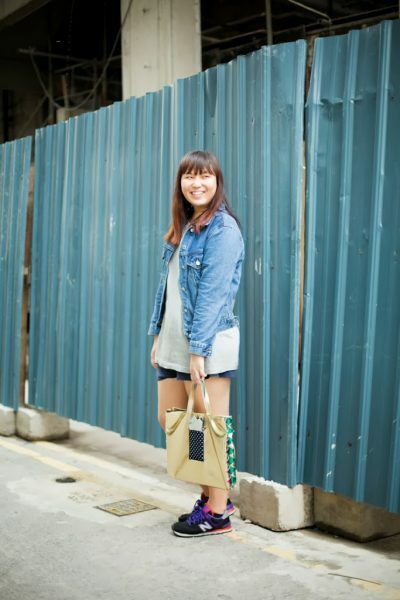 With a huge, colourful umbrella parading an array of shiny, metallic bags in tow, Linda and SHENTONISTA lit up Raffles Place last Friday afternoon for the launch of YES Totes. When all else fails, play it safe with black and white- like this simple, pared-down ensemble; deftly accessorised with a classic YES tote. 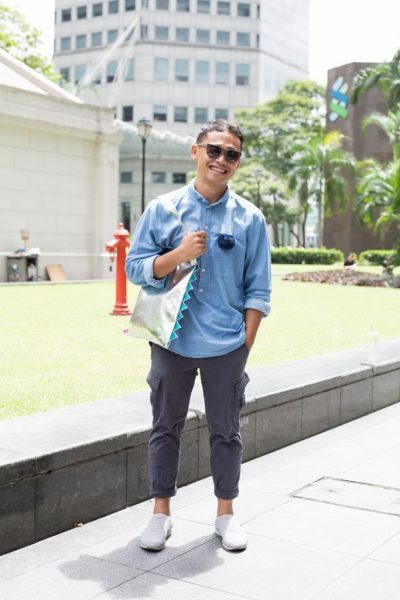 Exuding boyish charm that's underscored with a tinge of mischief, Mahdhir proved to be an ideal candidate for the YES tote. Usher the weekend in with a colourful cocktail of colours and prints, like this lady illustrates! The perfect casual Friday get-up is complete with a YES tote- a fun, bright addition to any look! 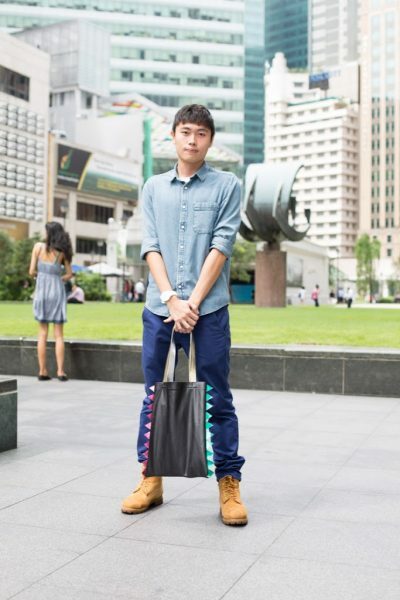 With his clean-cut looks and boyish #ensemble, Mervy melds functionality and style seamlessly. In an elegant, partially sheer number, Sheila looked ravishing to say the least. 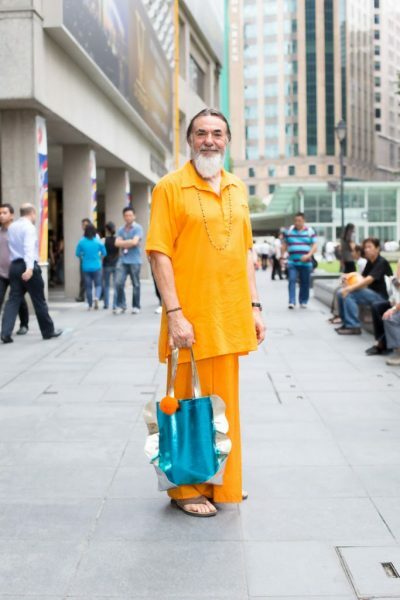 The meeting of old and new, tradition and modernity prove a compelling visual combination. This metallic silver YES tote doubles up as the perfect clutch and complement to Samantha's mint coloured ensemble.